The Pentagon is reconsidering whether to end "imminent danger pay" for troops in several regions of the Middle East and Persian Gulf in the wake of increasing violence there in recent weeks, according to a Defense Department official. 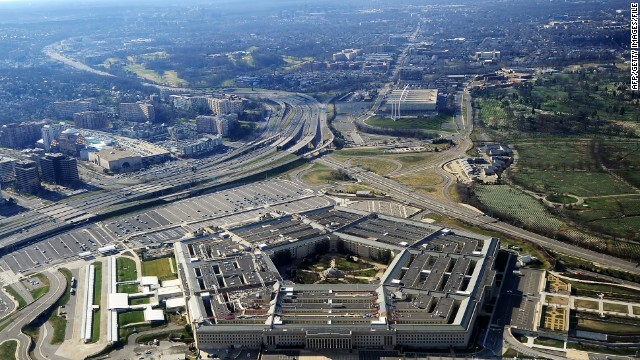 The Pentagon had been considering the move, which would save about $120 million each year, the official told CNN. He declined to be identified because there is no final decision on the matter. In addition, the Pentagon quietly is considering whether to proceed with a planned September U.S. military exercise with Egypt. That exercise would send thousands of U.S. troops to Egypt with aircraft and land-based weapons. For now the exercise remains on the calendar, but a second Pentagon official said it's certain to be re-examined in light of the recent violence. The extra pay, about $225 a month - or $7.50 a day - for all troops in the covered areas, has been offered for the last several years. The Pentagon had been considering cutting the danger pay to save money. Under the initial proposal, danger pay would have been eliminated in countries such as Egypt (except for Sinai), Bahrain, Kuwait, Qatar, Jordan and Saudi Arabia as well as the land, water areas and airspace around the Arabian Gulf, the Gulf of Aden, Gulf of Oman and the Red Sea. Now that plan is all being rethought especially in light of the rising violence in Egypt, the official said. Pay for those serving Afghanistan would not be affected. One of the best ways to save on the "danger pay" would be to not send troops into those locations. Best of all possible solutions. It is high time Leaders of the World come togeather and talk about investing more in agriculture rather then waste money on the military for heaven's sake!!! NO NO NO NO NO NO NO NO NO....YOU CAN'T DO THIS, THIS IS WRONG! The troops lay their lives on the line for us.....we cannot abandon them in their time of need. NO NO NO NO NO NO NO NO NO!!!! Quite right, ibdukeep. We need to get all of our boys out of both the Middle East and Central Asia where they should never have been sent in the first place. Let these countries rule themselves, I say. Look at Iraq where people are still being killed on a daily basis. This alone proves that we can't even run Iraq, let alone the rest of the Middle East!!! the bourgeois elitist squatting in our nation's capital. They are the empire's enforcers! Hope your tin foil hat is holding up well. Well said, brown. How true that is!!! If we pull the troops out of harm's way, then that solves the problem. No danger pay needed as they would not be in danger. Problem solved. 1 missle armed with a 1 megaton nuke and china is gone boom and all the chinese children will be reduced to ashes. I just wanted Saeed to see how his comment looks to other people. Calm down Internet Tough guy. How about this. The creep in the WH takes one less vacation each year. I wonder if you complained when Bush took the most vacations days off in history in his first year in office? In which a couple of weeks later we had the Sept 11 attacks. Regardless, in keeping with the subject, and as a person in the military, Imminent Danger Pay, shouldn't be cut for those especially in the hottest hotspot in world, the Middle East. What should be cut is all the contractors that are in theater making six figure salaries DOING exactly what us as troops were trained for. THATS where the FAT is in the military and should be trimmed! His stupid vacation to africa cost 100 million. I'd rather the stupid moron in the white house thrown out on the street than see our troops pay cut. 1 missile armed with a 1 megaton nuke and israel is gone boom and all the jewish children will be reduced to ashes usa and britain are p u s s i e s they cant last against a war against china. You ....are heartless and sick! You're worse than Hitler. China's military has little to zero expeditionary capability. The only war they are equipt to fight is a nuclear war or a regional war. I have a far better idea here. Instead of giving these troops "danger" pay, I strongly suggest that we pull all of our troops out of the Middle East altogether and quit trying to conquer that part of the world. If the British and the French want to do it, then let them. We sorely need to go back to Isolationism which served us well for over 150 years! Only a stupid crazy fool would disagree with me on this! I agree! We, the US, do not know how to "nation build" and should not get into these situations. Iraq was a complete disaster. Want to know why? Just watch no end in sight on netflix. Afghanistan will be no better as long as we keep hands off of Pakistan! These countries are simply not worth "saving", they have no idea what to do with themselves after being "liberated". They simply go back to what they know, kill each other . . . by the thousands! What's the point? Our troops remaining in this impossible situation deserve much, much more than "danger pay", but we don't truly take care of them. Vietnam vets suffered even worse! Why do we continue this behavior? Today, the military is all volunteer. You volunteer for what? Promises that are never kept? Unfortunately Stan, there are too many young men and women who were brought up to believe that there is glory in killing people and thus make themselves out to be "patriotic" national heroes. Contrary to American public opinion, there is absolutely no glory in these obscene wars that we're currently engaged in, only pain and heartache for those who live over there! Moron, look at the wars that happened because of our "isolationism".